I offer you greetings and respect, and hope that this email finds you in good health. The purpose of my email is to offer an update on the recent progresses at Sharminub, Nepal. To that end, I would first like to express my sincere gratitude for Your Eminence’s tireless activities and support for the Karma Kagyu Lineage. I heard from Khenpo Gyaltsen Zangpo a few days ago that Lama Yeshe had visited Sharminub on your behalf. 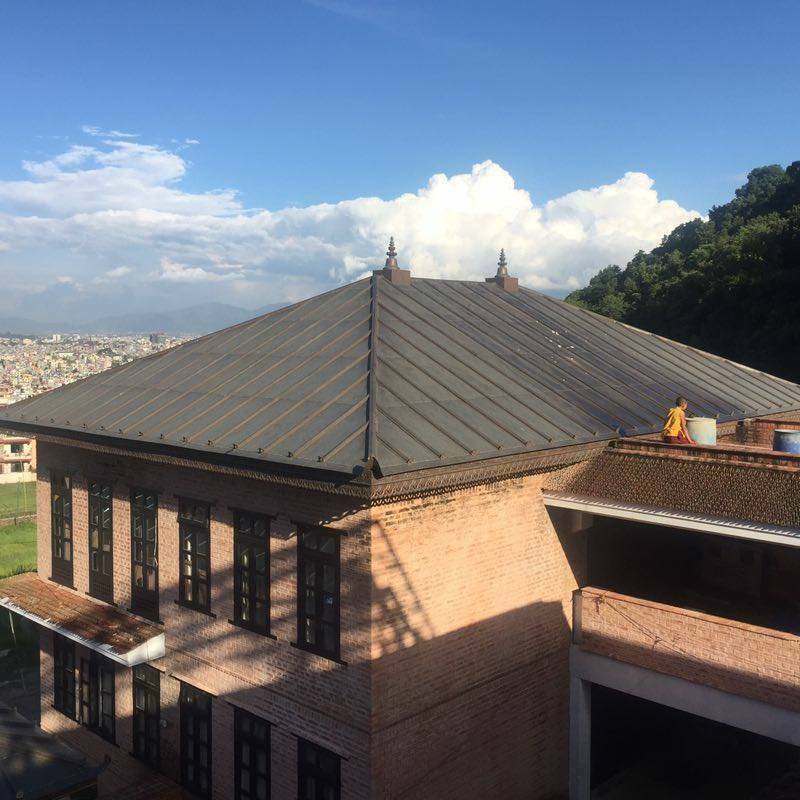 Khenpo may have provided Lama Yeshe a general update on Sharminub regarding the construction status, and you may be aware of some of the details already through Lama Yeshe. In the last year I have tried to reorganize the structure of Sharminub from an administrative standpoint, with the support of all the Board members to establish a more transparent and inclusive process which is not only the proper way, generally speaking, but also critical in gaining the confidence of the donors. In the past, under the guidance of Shamarpa, we had one or two persons managing all the projects at Sharminub, which seemed to be working fine at the time. However, under the current circumstances, this structure has proven ineffective. Hence, upon establishing a more transparent process, I have requested all Board members to work together in sharing the responsibilities, making joint decisions and ensuring timely completion of all current and pending projects with diligence and urgency. I believe that we are now in a better position in providing ongoing updates and progresses made. I have requested the team to prepare a clear cost estimate for your review. I will forward this estimate to you as soon as I have it. I am happy to inform Your Eminence that 90% of the Phase 1 construction work at Sharminub is complete. This includes the completion of Shamarpa’s Kudung Stupa as well. Our plan for the stupa room also includes building the statues of all the Shamarpa’s from the 1st to 14th. The main temple hall is complete. 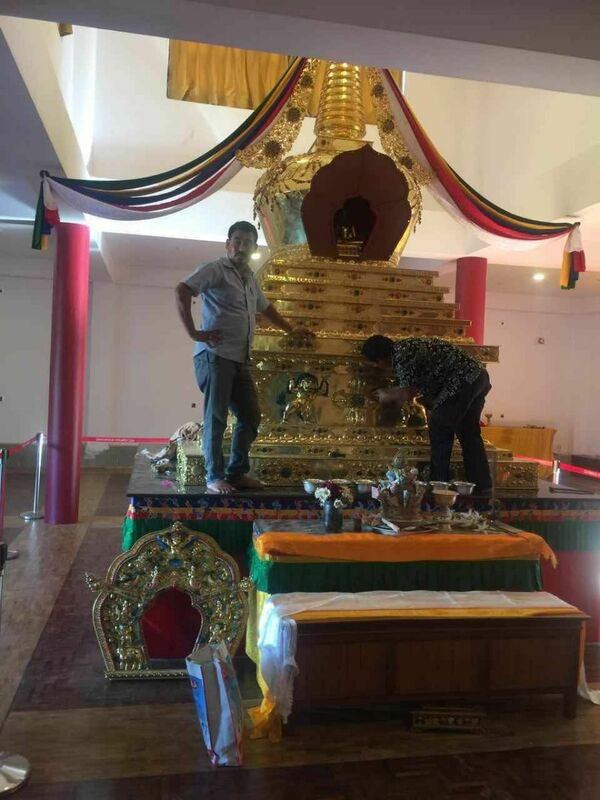 In addition, the five meter statue of Buddha for the main hall, constructed in France, is also complete. We are currently working on the paperwork for it to be shipped to Nepal. The right wing at Sharminub is also complete. Khenpo Gyaltsen Zangpo, principal of Diwakar Academy in Kalimpong, had moved to the right wing last year, along with 11 graduate monks.Some of the graduate monks from Kalimpong had to stay back due to administrative and teaching obligations. Some are attendants of Karmapa, while others moved to Sharminub. In addition, we also have 85 young monks from Nepal who are receiving their Buddhist education at Sharminub. These monks will be moved to Diwakar, Kalimpong in 4 or 5 years. We also expect new graduates from Kalimpong to join them at Sharminub next year to continue their studies, as envisioned by Shamar Rinpoche. The left wing is currently incomplete. The plan is to build an advanced studies and research institute for monks and lay students alike, as envisioned by Shamar Rinpoche. As of today, we have monks from Swayambhu residing there. I would like to once again thank you for your continued support to Kalimpong Shedra and Sharminub. Your support has helped us tremendously, especially in the wake of Shamar Rinpoche’s passing. I offer my prayers for your long and healthy life, and I look forward to hearing from Your Eminence soon.